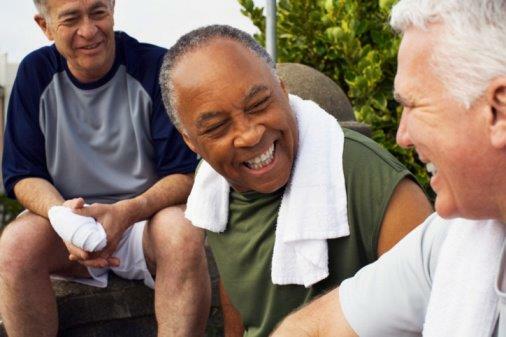 Maintaining a healthy prostate is important, especially later in life. Learn about natural prostate health options for problems such as frequent urination on the NorthStar blog on prostate health and support. Well, I’ve got news for you. From the leaves to the stems to the nettle root extract, you’re going to want to know about every part of the stinging nettle plant – and how it can help you maintain your best health. Since many of the health benefits of stinging nettle come from the leaves and stems rather than from nettle root extract, let’s start at the top and work our way down. Joint pain – If you have occasional stiffness, or if the aches and pains in your joints is more long-term, nettle leaf can help. It helps support a healthy inflammatory response, which can in turn ease stiffness and swelling. Plus, it’s effective taken orally or applied topically to the joints in need. Urinary health – Keeping your bladder and urinary tract healthy is key to overall health and wellbeing. Anyone who’s ever felt the burning, urgent discomfort understands! When taken with plenty of fluids, nettle can help maintain a healthy urinary tract so you don’t ever have to feel that particular burn again. Kidney health – Along those lines, nettle can help with kidney health, as well. Your kidneys’ job is to help filter waste from your body. If those filters get clogged, the waste builds up and becomes a painful problem. But supplementing with nettle leaves and stems can help keep your kidneys clean and clear. Digestion and gastrointestinal discomfort – Having tummy troubles recently? Been spending more time in bathroom than before? It may be time to look into a nettle supplement. Just about every aspect of your digestive system, from your tummy all the way through, can be eased and soothed by the addition of nettle. 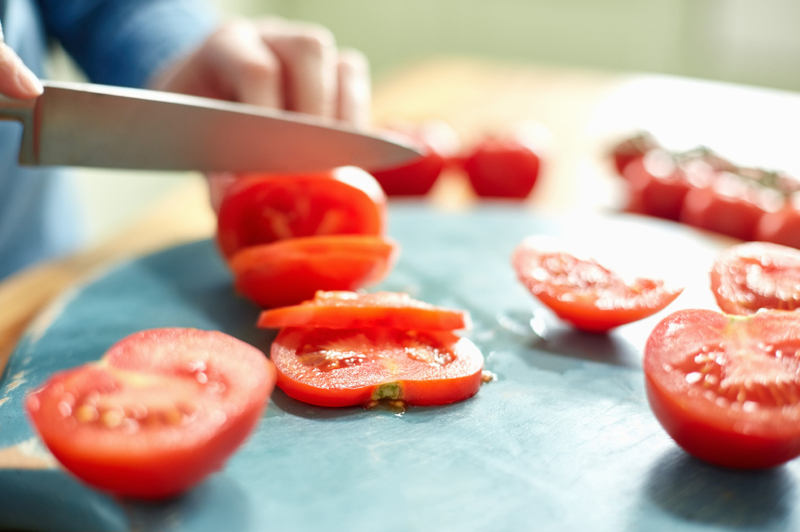 Circulation and blood health – Every organ and cell in your body depends on getting the nutrients it needs – and those nutrients are carried in your blood. So your circulation has to be good and your blood has to be healthy. Good blood pressure numbers. Good blood sugar levels. All of it. 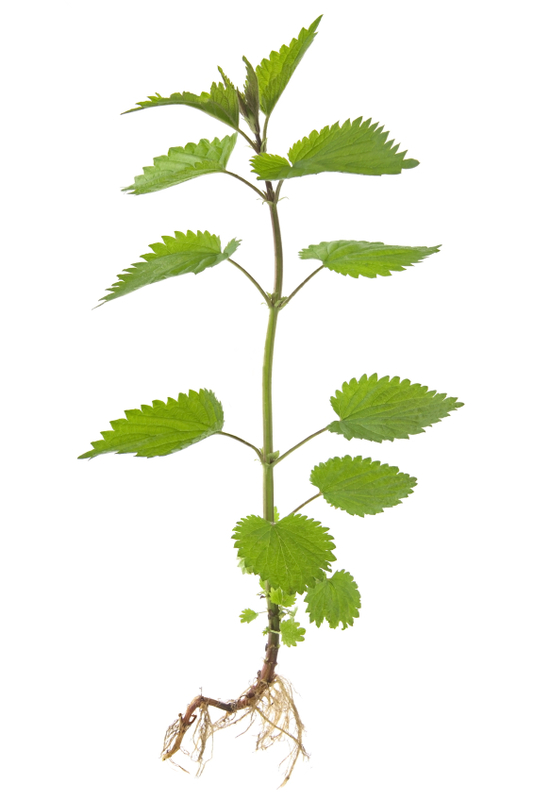 Studies are incredibly promising that nettle promotes just that – all around blood health, from circulation on. Which brings us to nettle root extract, because the root is healthy too! Joint health – Yes, we talked about joint pain already, but nettle root extract can also promote and support joint health. So if you can’t find nettle leaves or stems, you don’t have to give up. Find some nettle root extract and help keep your joints moving smoothly. 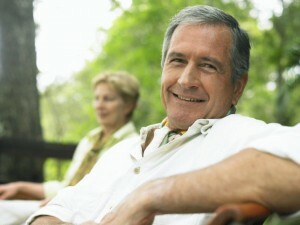 Prostate health – Men, this one is especially for you. As you’ve gotten older, you may have realized that you aren’t sleeping through the night without having to get up and go to the bathroom. Maybe you’ve even started leaving the table, the meeting, the game, wherever at inopportune times because you couldn’t “hold it” any longer. Only to discover that you couldn’t completely empty your bladder once you made it the restroom. These are classic signs of an aging prostate – and nettle root extract can help. Because nettle root extract helps maintain prostate health, making it less urgent that you leave, so you stop missing out on your days, and can sleep through your nights. So now you’re sold on stinging nettle root extract and leaves. How are you supposed to get it? Nettle root extract and the nettle root in general is one of the most versatile supplements around. It can be taken orally, in pill form, or as a tea. It can be used topically, in a cream or a tincture. 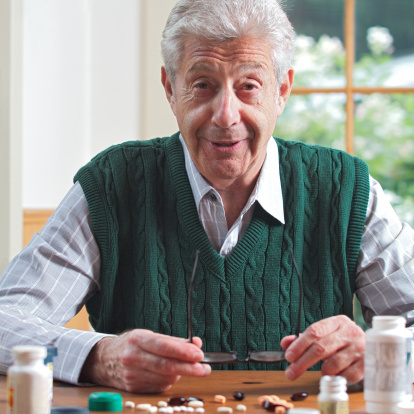 And for prostate health, you can find it in Prostate Defense, our healthy prostate supplement. If you want the leaves, or the nettle root extract, you have options. With stinging nettle, you can’t go wrong – whichever form works for you! 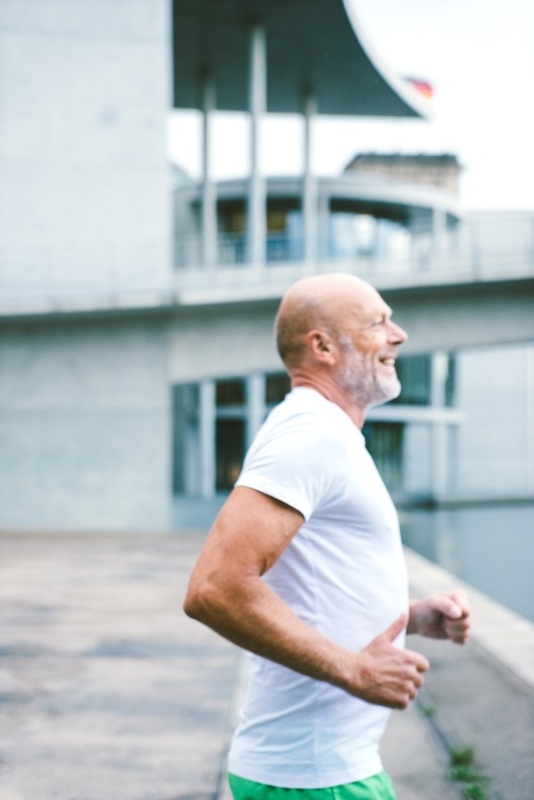 You know exercise is good for your heart …and your brain …and your lungs…but did you know that exercise can help keep your prostate healthy, too? That’s right – a healthy prostate is just one more reason to exercise. Men, I've been telling you for years to eat your tomatoes (especially the cooked variety) to support prostate health and ward off prostate cancer. Now a new British study has confirmed what I've been saying all along. 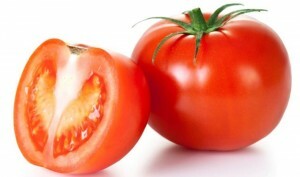 The Top 10 Foods for Prostate Health – Eat These Today! One of my favorite fruits is making health headlines again. Or at least its seeds are. A study on grape seed extract for cancer published in the journal Nutrition and Cancer found that an active component in grape seed extract can kill cancer cells on contact. If you’re a long time NorthStar blog or Guide to Guide Health reader you may recall that way back in 2009 I told you about grape seed extract’s ability to clobber cancer cells. That exciting research was done by University of Kansas researchers, and this new study comes to us from the University of Colorado. By far, the most active component in grape seeds is the compound called B2G2. So, not surprisingly, it’s B2G2 that the scientists focused on. They found that the compound blew away prostate cancer cells by causing them to essentially commit suicide. And, unlike sickening mainstream meds, the B2G2 left the healthy cells alone! The researchers say a human clinical trial is in the future. Unfortunately, they will be using a synthesized version of the compound for that trial. But you can take the natural whole-food approach yourself, starting today, simply by adding more grapes to your diet. Just be sure you are choosing a seeded variety. Or you can try a real grape-seed extract, which can be found both as a stand-alone supplement and as part of a number of comprehensive anti-aging or multivitamin formulas. Newsflash… hysterically attacking a man’s prostate with a scalpel or damaging radiation is a bad idea. Not only could it leave him impotent, incontinent or both – in many cases it could have zero benefits to boot. A new study, published in the journal Cancer Research, recently confirmed what some of us on this side of the fence have been saying for years. After PSA screening and a prostate cancer diagnosis, watchful waiting… or what I like to call active surveillance… is usually the best choice. And hey, although it may have taken years for them to get the message, it’s such an important one that you’re not going to hear me complain... much. More on that new study in a moment, but first let’s take a look at where the problem really begins… with prostate cancer and PSA screening. In 1994 the PSA (prostate-specific antigen) test was approved by the FDA as a screening tool for prostate cancer and it quickly went into widespread use. Eventually, all men over 40 were being encouraged to get a yearly test. And if you were over 50 and not submitting to one every year you were practically labeled irresponsible. “Early detection and early treatment!” became the battle cry, and the PSA was heralded as a lifesaver as we saw a surge in the detection of tumors. But buried underneath all that enthusiasm lurked some troublesome findings that were being overlooked and even ignored. The PSA test delivers false positives… lots of them. In fact, by some estimates there’s an astounding 80 percent chance that a positive PSA will turn out to be false! That means that every year thousands of men, and their families, are forced to live through the nightmare of believing they have cancer when they don’t. Thousands of men will also be subjected to painful invasive biopsies as a result. And if a guy happens to have a particularly enthusiastic doctor, he could even suffer through a harsh cancer treatment unnecessarily. You see, lots of things can cause a PSA level to fluctuate, like a urinary tract infection for example. Certain drugs can monkey with your numbers too. And you can even have a high PSA and not have cancer or a low PSA and still have the disease. But wait, you haven’t even heard the worst of it yet. Remember earlier when I said more tumors being detected? Sounds great, right? Unfortunately, appearances can be deceiving. Sure lots of tumors are being found, but many of them are the slow-growing harmless kind that when left alone will never cause a lick of trouble. And if it weren’t for the PSA test a lot of guys with these so called “deadly” prostate tumors would live out their whole lives never even knowing they had one. The truth is that many prostate cancers grow so slowly that many men shouldn’t be treated at all. And the insistence on regular PSA screening has backfired on us, leading to over diagnosis and, tragically, overtreatment. When most men hear the word cancer—easily the most frightening word in the English language—they readily submit to the harsh treatments. And really, is it any wonder? After all, they’re scared and they just want the cancer out NOW. And if the procedures were harmless that might be fine. But they’re not. They leave approximately 20 to 30 percent of the guys that get them unable to perform in the bedroom and wearing a diaper. Even the mainstream US Preventive Services Taskforce took a stand against PSA tests last year when their own research found that for every 1,000 guys, only zero to one deaths (yes, ZERO) would be prevented by regular screenings over a 10 year period. But in that same decade 100 to 120 of the men would have a false positive test result, and about 50 would suffer serious treatment complications like impotence. This brings us to that new study that I mentioned earlier. Researchers analyzed the data on over 1,200 men diagnosed with prostate cancer and treated with surgery between 1982 and 2004. They found that PSA screening jumped from 42 percent in 1994 to 81 percent in 2000. (Part of that PSA popularity surge I told you about earlier.) But the really telling finding is that the number of late-stage cancers dropped from 19.9 percent in the 1982 to 1993 group, to just 3 percent in the 2000 to 2004 group. That’s an 85 percent drop in stage at diagnosis. But at the same time there was only a moderate decrease in aggressive cancers. And with a little further digging the researchers figured out that the lower percentage of aggressive cancers was deceiving. Screening hadn’t prevented cancers from progressing, but rather the percentage drop was because of an INCREASE in the diagnosis of the low-grade, often harmless tumors that enthusiastic PSA screening programs were turning up. You see, the experts are starting to suspect that a prostate tumor’s aggressiveness is pretty much locked in when it first hits the scene. In other words, low-grade prostate cancers don’t appear to progress to higher grade ones over time, and we’re hysterically hacking away at prostates for no good reason. If you’re diagnosed with prostate cancer, first take a deep breath, remind yourself that most of these tumors never cause trouble, and then work with a doctor skilled in natural medicine to come up with plan for monitoring, and if necessary, treating your tumor. There's an old proverb that says a good laugh and a long sleep are the best cures in the doctor's book. I couldn't agree more, especially when it comes to sleep and prostate cancer. While everyone is on board with laughter being the best medicine, way too many of us choose to ignore the second half of that wise prescription. And if you're guilty of burning the candle at both ends, you should know it can have devastating consequences for your health, as indicated by the study below on sleep and prostate cancer. As I've explained before, a quality night's sleep is critical for staying healthy. In fact, if you continue dodging the Sandman, lack of sleep could be the first domino in a disastrous fall towards disease, such as an increased risk for prostate cancer. Eventually, sleep problems can even lead to early death. And I wish I could say that I'm being dramatic here, but I'm not. Not getting enough shuteye could cause your weight to balloon and send your cholesterol numbers skyrocketing. According to one Uppsala University study last year, a lack of sleep stimulates appetite areas in your brain literally leading to a hungry brain. And let's get real, who amongst us has ever made a good midnight snack decision? Another study, published in The American Journal of Human Biology, concluded that getting less than six hours of sleep a night is linked with a higher body-mass index (BMI), or obesity. But wait, it gets even worse. Poor sleep is also linked to blood-sugar problems and diabetes. A study conducted at the University of Illinois at Chicago uncovered a critical link between how well you sleep and how well you metabolize sugar. Volunteers were twice as likely to have type-2 diabetes if they also had sleep problems. And a study published last year confirmed that not getting to bed on time wreaks havoc with your fat cells. Without enough quality sleep the ability of your fat cells to respond to insulin can drop by as much as 30 percent. Sleep deprivation has even been linked with low sperm counts and shrunken testicles. And now researchers from the University of Iceland in Reykjavik are saying that sleep problems could double a man's risk of prostate cancer, making poor sleep and prostate cancer a dangerous combination. According to the study published in the journal Cancer Epidemiology, Biomarkers & Prevention, researchers followed 2,102 men ranging in age from 67 to 96, testing the connection between sleep and prostate cancer. Participants were questioned about their sleep habits, including if they took drugs to sleep, had trouble falling asleep, had trouble with waking up in the night, or had trouble getting back to sleep when they woke up prematurely. In the end a full 8.7 percent of the group had severe sleep problems, and another 5.7 were even worse off, reporting very severe sleep troubles. None of the volunteers had prostate cancer when the study began, but five years later 6.4 percent of the group was diagnosed with the disease. After doing some number crunching—and adjusting for age—the researchers found that the guys who had trouble falling sleeping were roughly 60 percent more likely to develop prostate cancer. And those who reported having trouble staying asleep had double the risk of being diagnosed with the cancer. The researchers even adjusted for symptoms of nocturia—the midnight march to the bathroom that often accompanies prostate problems—to be sure that undiagnosed prostate issues weren't responsible for any of the recorded sleep problems, and the results remained the same. One thing's for sure: if you're not already taking your sleep time seriously it's time to change that. If you keep skipping out on quality shuteye, one day you could wake up fat, diabetic, and dealing with a cancer diagnosis. But don't fall for quick-fix sleep drugs. They can come with their own set of problems (sedative drugs could cause your risk of dying to skyrocket by a staggering 450 percent ... click here to get the whole story), and seldom give you the restful quality sleep your body needs anyway. Instead, start by easing up on stimulants like coffee, tea, and soda. If you're particularly sensitive, some supplements like ginseng and B12 can be stimulating. If anxiety is at the center of your sleep problems, I've found 500 mg of magnesium before bedtime sometimes does the trick. And if you're under 40 years old l-tryptophan may help. But if you're over 40, melatonin may be a better option. Work with a doctor skilled in natural medicine to figure out the best choices for you, and before you know it you could be saying hello to the Sandman and goodbye to a skyrocketing prostate-cancer risk. If you're a guy and you haven't already experienced some prostate problems or worried about having lower PSA levels, you will one day. No, I don't have a crystal ball, but that doesn't prevent me from predicting the future from time to time. Besides, in this case it's an easy prediction since the majority of men have some sort of prostate complaints during their lifetime. 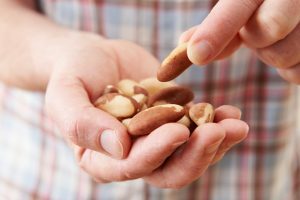 But if elevated PSA levels are the issue you're facing, a new study on ways to lower PSA levels published in the British Journal of Nutrition, might help make that a problem in your past. According to the research, the nutrients omega-3...like those found in fish oils...and coenzyme Q10 may both be able to significantly reduce PSA levels. In a randomized, double-blind trial omega-3 users had 30 percent lower PSA levels, and CoQ10 users saw a 33 percent drop in their PSA levels.